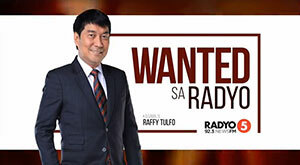 This is the November 20, 2018 (Tuesday) edition of Wanted sa Radyo with the tagline “Kakampi ng mga Inaapi” is a public affairs program that airs every weekdays (Mondays to Fridays) at 2:00 PM to 4:00 PM (PHI time). 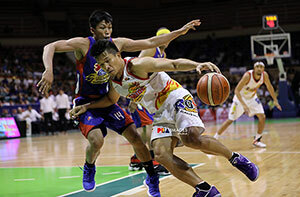 Edgar dela Rosa, Junie Aguinaldo and Edward Reyes along with their co-employees from Specified Contractor Development Inc are complaining their employer for not giving their full salary. Mr. Jayson Malabanan along with his co-employees are complaining their employer for their below minimum wage salary and not having enough benefits. A complainant who is using an alias “Mae” (since she is a minor) along with her Tita Arby is complaining her parents for abandonment. Ms. Aileen Valdez a 56-years-old widow is complaining her children who are against with her relationship to another man as well as their disrespectful treatment. Ms. Mary Rose Besmonte seeks help to talk to her boyfriend, Mr. Melvin Tamayo who backed out from their already scheduled wedding which is set next month on December 23, 2018.